The My Lai massacre of March 16, 1968 and the court martial of Lt. William Calley a year and a half later are among the bleakest episodes in American history and continue to provide a volatile focus for debates about the Vietnam War. Other books have exposed the facts surrounding the incident; Facing My Lai now examines its haunting legacy through a unique exchange of contemporary viewpoints. This powerful book emerges from a stellar gathering of historians, military professionals, writers, mental health experts, and Vietnamese and American war veterans convened to memorialize the tragedy. 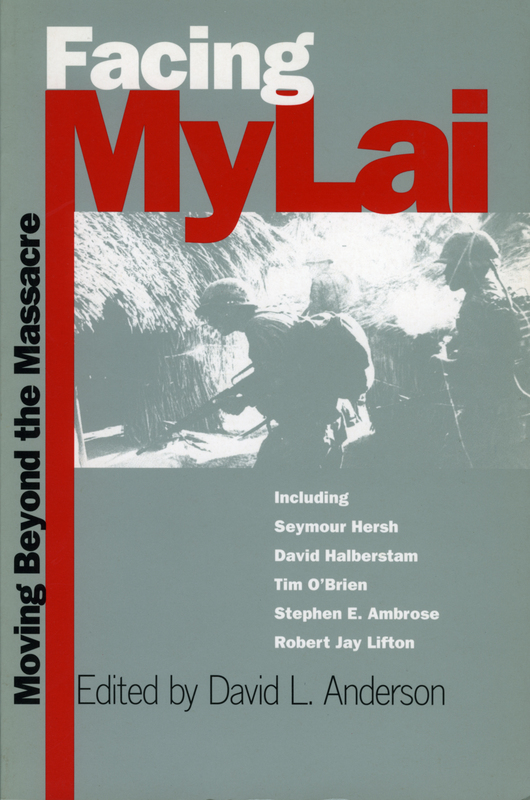 The cast of prominent speakers included journalists Seymour Hersh and David Halberstam, novelist Tim O'Brien, psychiatrist Robert Jay Lifton, military prosecutor William Eckhardt, and veterans Hugh Thompson and Ron Ridenhour—the two true heroes in the My Lai story. David Anderson's reflective recasting of their presentations creates an impassioned chorus of voices that demonstrates why this tragedy remains one of the key emblems of the American experience in Vietnam. These authors address many of the troubling questions that still persist about My Lai. Why had it been identified as a Viet Cong stronghold? What orders were the troops actually given? Why didn't someone stop the slaughter? But these questions are asked again in the hope that they might lead to a better understanding of what My Lai means for us now. As these authors show, our nation is still trying to come to grips with the bitter legacies of the Vietnam War. A grim window into the darker side of American history (like the massacre at Wounded Knee), My Lai reminds us of humanity's baffling capacity for atrocity within the crucible of war. Facing My Lai does not allow us to forget or hide from such horrors, but it also seeks to heal the deep wounds inflicted by the war. Its unflinching look at the past ultimately leads us away from darkness and towards a more enlightened understanding of a war that in many ways is not over yet. David L. Anderson served in Vietnam as a sergeant in the U.S. Army Signal Corps and is now professor of history and chair of the Department of History and Political Science at the University of Indianapolis. His book Trapped by Success: The Eisenhower Administration and Vietnam, 1953-1961 was a co-winner of the 1992 Robert H. Ferrell Book Prize of the Society for Historians of American Foreign Relations.